I very much enjoyed this too, although I wasn’t convinced the structure quite worked, although I can forgive that for the ambition and the writing. I read it without the family tree though, so I wonder how much difference that made and whether it contributed to my feeling that one particular story was out of place. I wonder which story it was that you felt didn’t work. I wasn’t at all happy with the ending although obviously can’t discuss that here but I did feel that it was very much more tightly controlled than Cloud Atlas to which it’s been compared. It was the apples. It felt like a jolt at that point where it seemed to have got into some sort of rhythm and then that story and the character in it didn’t connect to anything before – I know it connects to the end but I’m thinking as I’m writing this that we’ve probably got a similar issue with it, actually. Yes, I think we’re agreed on The Shore (without going into too much spoiling detail) but not on Cloud Atlas! I preferred Ghostwritten. Love the cover and may now check out the contents. Gorgeous, isn’t it? No complaints from me for a change! I do hope you enjoy it, Poppy. Worth falling of the wagon for, I think. I enjoyed this book too ….I thought the used of snapshots was a very effective way of giving us a ‘360’ over the generations . I have to say that I didn’t really enjoy the future stuff as much and wish she’d just kept to the present and past which I thought worked much better . There’s so much dystopian , or as it seems we must now call it speculative fiction around at the moment . It does all get a bit tired and predictable after a while ! Absolutely agree with your comment on dystopian fiction, Helen. I think Chloe’s narrative should have marked the end of the novel. This sounds like one of the most interesting and ambitious debuts I’ve come across in recent months. I too had seen (or heard) it compared to Cloud Atlas, so it’s good to read the comments here. The cover is a thing of beauty, isn’t it? It would catch my eye in a bookshop. Its lovely, just right for the book. I thought it was much more tightly controlled than Cloud Atlas. Not perfect – I think Helen and I are agreed on the dystopian elements – but very fine indeed. I got as far as interconnecting stories and was already sold that alongside believable characters and entrancing storytelling had me completely convinced. An excellent review of a great sounding book. Thank you, Cleo. I loved it with a single reservation which is pretty damn good for a debut, I think. I’ve seen this around a lot, and am hoping to hear the author speak at the Cambridge literary festival in a couple of weeks. I’ll definitely be reading this. And having reminded me, I’ve now added the Judy Chicurel to my wish list, too. I think the interlinked short story collection is an intriguing structure. I think it can work very well when controlled tightly. I first came across the structure with Melissa Banks’ The Girls Guide to Hunting and Fishing which I enjoyed very much. 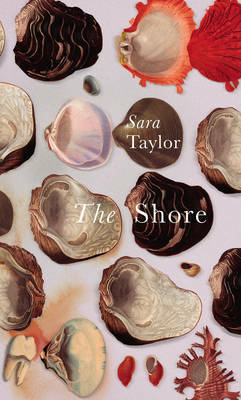 It would be fascinating to hear about the ideas that sparked The Shore. Perhaps you’ll write a post on it?